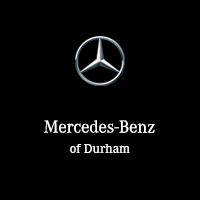 Mercedes-Benz Durham is the premier Mercedes-Benz, AMG, Sprinter, Metris and smart car dealership in Durham. Our team is committed to reflecting the highest standards of excellence synonymous with the Mercedes-Benz brand. We have a team of highly qualified factory-trained employees who are driven to providing exceptional sales and service experiences to each customer who comes into our dealership. Mercedes-Benz Durham is proud to have earned the prestigious 2018 and 2019 Star Dealer awards from Mercedes-Benz Canada recognizing top achievement in both performance and customer satisfaction. We believe it is important to maintain a respectful long-term relationship with our customers long after the initial point of sale. Just as we are committed to our customers, we are also fully committed to the welfare of our staff and the community. This is reflected in our commitments to our local communities. This philosophy is shared by our team members and is evidenced by the continued examples of our community work. So why choose Mercedes-Benz Durham?